Tell me what inspired you to write historical crime set in India? Hi Fiona, thanks for featuring me on your blog, and thanks for the great questions. 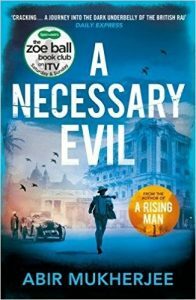 I think Raj-era India was a fascinating place and time, unique in many respects and one that’s been overlooked, especially in terms of crime fiction. I think that period in history has contributed so much to modern India and Britain, and it was a time that saw the best and the worst of both peoples. But it’s a period that’s either brushed under the carpet or romanticized. I wanted to explore it from a middle ground and from the perspective of a man who is new to it all. In the period when the books are set, Calcutta was still the premier city in Asia and was as glamorous and exotic a location as anywhere in the world. At the same time, it was a city undergoing immense change and was the centre of the freedom movement, a hotbed of agitation against British rule. What can you tell us about your fourth book? 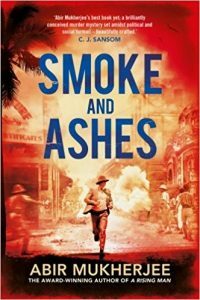 It’s Sam and Surrender-not’s fourth outing and starts in 1922, immediately following on from the close of book three, Smoke and Ashes. It sees Sam go off to an ashram in the hills of Assam, far to the east of Calcutta. 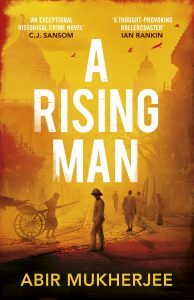 He’s there seeking a cure for his opium addiction but finds himself mixed up in a case centred on the suspicious death of a local Englishman: a death foretold twenty four hours earlier by a local fakir, and in circumstances that seem impossible. There are also flashbacks to a case Sam was involved with almost twenty years earlier in the East End of London, which dredges up some disturbing memories for our hero. My route to being published was a wee bit odd. I was thirty-nine, a few months from turning forty, and I had a bit of a mid-life crisis. I’d always wanted to write but lacked the confidence. Then I saw an interview with Lee Child where he talked about how, at the age of forty, he started writing and I thought why not? In any case it seemed safer than buying a motorbike. I started writing A Rising Man in September 2013, and a few weeks later I came across details in the Daily Telegraph of the Harvill Secker Crime Writing Competition. They were looking for new and unpublished crime writers and all they wanted was the first five thousand words of a novel and a two-page synopsis of the rest. By that point I’d already written about ten thousand words. I tidied up the first few chapters, wrote the synopsis and sent off my entry. Three months passed and then I got an e mail telling me I’d won and that they were going to publish my novel. Winning came as a huge shock. It took a while to sink in, but it also gave me the confidence to think I might be able to make a real go of writing. So far, zero. I’d never submitted anything to a publisher before entering the competition. This might change in the future though! I do read them. Alas I can’t help myself. What’s worse, I tend to discount the positive ones and focus on the negative ones. I give these more credence for some reason. I try and be positive and incorporate any suggestions for improvements in the next book, but sometimes I’ll read a negative review and it’ll knock my confidence. When that happens, it takes me a day or two to start writing again. Luckily, Waterstones readers are most insightful, and the reviews tend to be really nice. I think it takes a special skill to write for children or young adults. I do feel it’s a tougher job to write well in such genres than it is to write adult fiction. As such, I don’t feel confident in my abilities to write well for such groups yet. Maybe that’ll change in the future. I’m an accountant by background and I specialise in mergers and acquisitions. I’m still doing it and I’m lucky that I have some very understanding colleagues! In fact many of them have given their names to characters in my books. There are a number of authors whose works I look out for and will buy as soon as they hit the shelves. Top of this list has to be Ian Rankin – I’m a huge Rebus fan, but I love the stand-alone novels too. I’ve always been fascinated by the predicament of a good man upholding a corrupt or evil system. 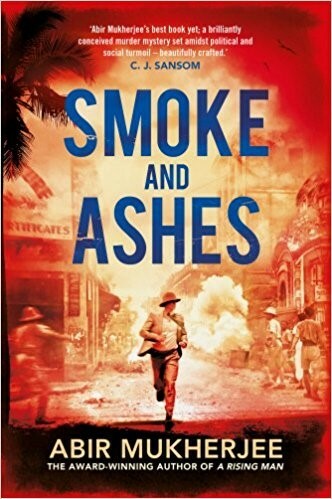 To that end, I adore the works of Philip Kerr, Martin Cruz Smith and Robert Harris, all three of whom write novels shot through with wit and an intelligence. I also love the hard-boiled gumshoes of American crime fiction, and like so many others, I’m a great fan of Raymond Chandler. Finally, and in a special category, there’s William McIlvanney, whose Scottish detective, Laidlaw, is a fantastic creation. I think McIlvanney was a true genius. I read a wide range of genres. Obviously, crime and mystery are my favourites, but I also read literary fiction, sci-fi (though I’ve never really got into fantasy), humour and a lot of non-fiction history, politics and economics. On occasion I’ve even dabbled in areas such as ‘chick-lit’ when the subject matter has interested me. For example, “Sophia Khan Is Not Obliged” by Ayisha Malik is one such book. It’s essentially the diary of a modern British woman who happens to be a hijab wearing Muslim – a sort of Muslim Bridget Jones. It’s both funny and poignant, and I think everyone should read it. When it comes to writing, I don’t need much motivation. It’s what I love doing, and the more time I can spend writing, the happier I am. My dream is to be able to do it full time. Pretty much anything: Twitter, Facebook, the TV, my kids,…oh look…there’s a puppy! Very little. The concepts are all developed by the artists who work for Penguin Random House. I do get a little bit of input in terms of pointing out any obvious errors. For example on the early drafts of the paperback cover for A Rising Man, there are a number of Indian characters in the background. However they were dressed in clothes which were too modern for the period. I pointed this out and the clothing was changed to the correct attire for Calcutta in 1919. Absolutely. I remember my father taking me to the library in my home town of Hamilton on Saturdays, depositing me there for a few hours while he ran errands to the shops and the bank. The library was a magical place and I have some great memories of wandering around, looking at the books and the exhibits. Our library had lots of model boats and aeroplanes as well as books – which were all wonderous to an eight year old. 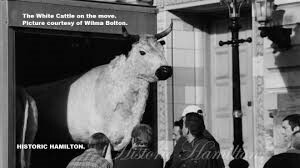 We also had three or four full sized white cattle that lived in a glass case on the top floor. They were stuffed. I kid you not. Waterstones, Durham of course! I think the book group on Saturday mornings is an excellent idea. I also have a few other favourites – Daunt Books in Marylebone is wonderful as is the Mysterious Bookshop in New York. As far as I know, it’s the only bookshop dedicated solely to crime and mystery novels. In terms of books – anything by Ian Rankin or Philip Kerr. I tend to pre-order those. Alas no, though I can see the advantage of having them. I’d imagine they help put you in the right frame of mind. For me though, writing tends to be crammed in between the day-job and family commitments: an hour here, two hours there. When you’re snatching time wherever you can find it, it’s hard to stick to rituals. Too many to count. The pile is wonderfully and depressingly high. 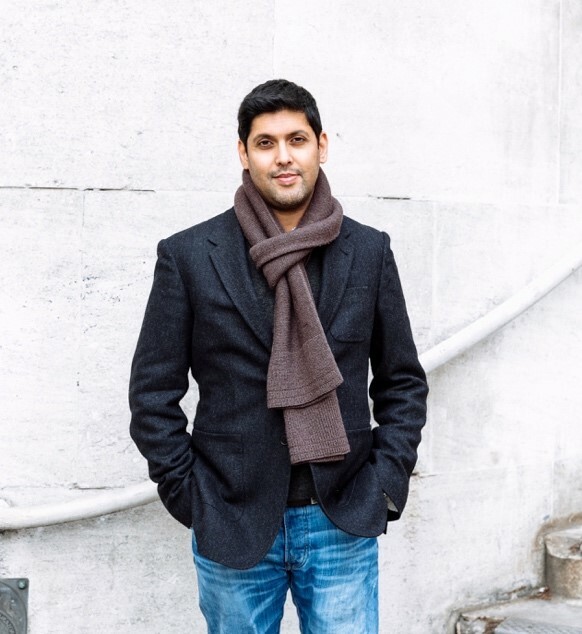 I’m a judge for the McKitterick Prize awarded to debut novels written by people over forty. As such, I get a pile of eighty-odd books in December which I need to read by April. Everything else is therefore pushed back till after I’ve finished those ones. I tend to read several things at once. 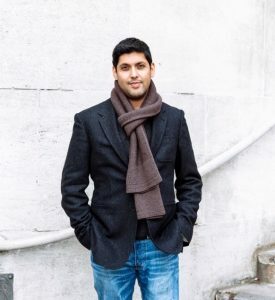 For research, I’m currently reading ‘On Brick Lane’ by Rachel Lichtenstein – It’s about the changing face of the East End of London – a place that’ll feature in the next Sam Wyndham novel. And for pleasure, I’m reading ‘Thirteen’ by Steve Cavanagh. It’s an absolute belter of a crime novel set in New York, where a serial killer wangles his way onto a jury.